The moment we all been waiting for has arrived! 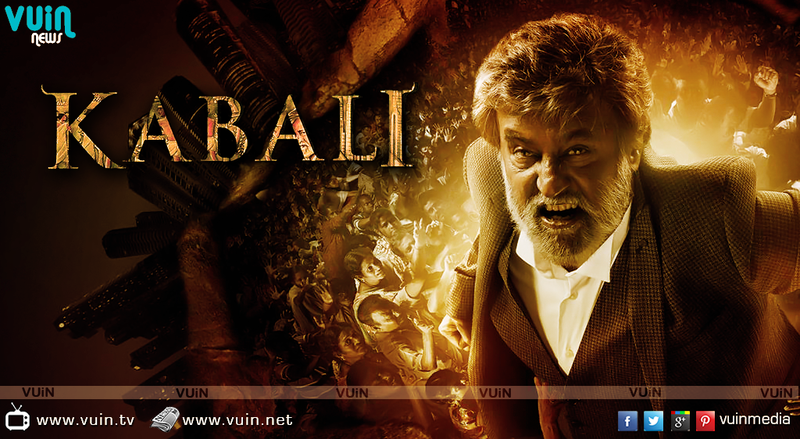 Rajini is back on the big screen and the little kid in me was screaming in joy being able to see Rajini once again. I for one knew that this was not going to be your regular Rajini film, but this was going to be an out and out Ranjith film and boy was I right. Nevertheless I was waiting eagerly just to catch a glimpse of Rajini, his trademark walk and of cause his glorious smile. Every time Rajini laughs or smile and I just lose my mind. So much style so much grace from the big man. 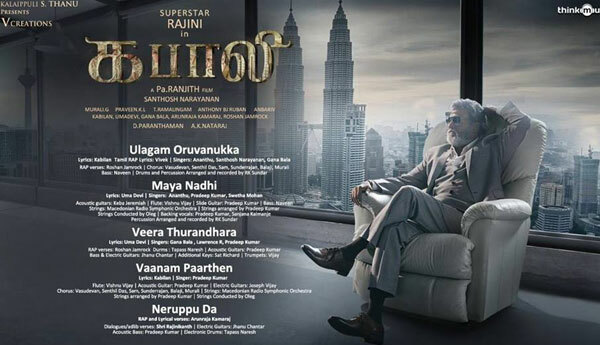 The film hits out with a little backstory of who Kabali is and who are his rivals are. With that the tone was set for the film as how this film was going to pan out. Upon his release from jail Kabali was quickly caught up with the struggles the Malaysian Indian community are facing today and how the mafia world is evolving today and those dominating it are his arch rival. As gangster would do to remind people that they are back in the business is to send out a loud and clear message to the rival and Kabali does that in superb style. I for one was not expecting that to happen. Kabali wasn't just the do good be nice gangster but he was someone who would fight for his community and would have no qualms for shooting or killing someone when it comes. Just like how a real gangster would. 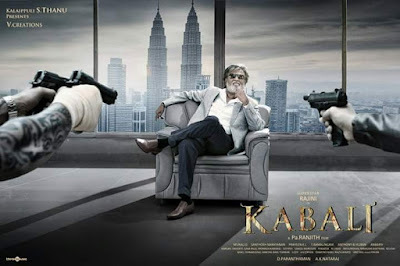 What follows next is blast to the past of Kabali where he learns some facts about his family and how he tries to make things up for the death of a friend. 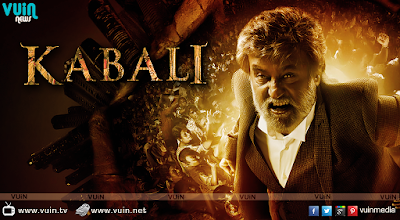 With the films builds towards the climax which would be between Kabali and his rival. The biggest win of the film is the realism factor in it. If you are a Malaysian, you cannot deny the scenes shown were not true. Even the way Kabali carries himself or how the fights happen and all makes perfect sense as if it was real gangsters were to do it. Whatever typical things you expect in a Rajini film, you will get the minimal of it which is what makes it even great film to be watch. This is a film made to show the world the struggles and difficulties faced by Malaysian Indians and the dark side we are left to face with. Who would believe that this guy is only 3 films old in terms of directing. What an honor would it have been for this guy to direct perhaps the biggest actor in the world in only his 3rd film. Another praise Ranjith deserves is for his extensive research and study of the Malaysian Indian community. Through out the film a lot of small elements were infused in to make it so realistic. 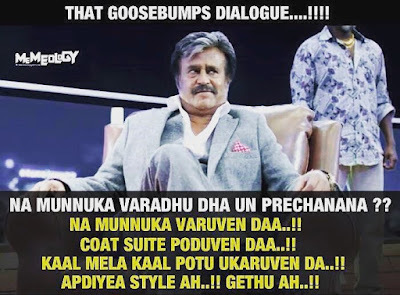 For example he made Rajini speak Malay is certain dialogues, the fact that gangsters control through 3 main outlets; parking lots, drugs and prostitution. He goes a great length to ensure even the food served looks like Malaysian dish. He was excellent to highlight the plight Malaysian Indians faced from back than today. For example the inequality in wages, the demolishing of temples, the struggles students faced to enter government universities and the drug element among youths. 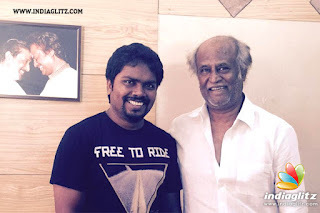 Ranjith was absolutely wonderful and he was the real star of the film. Thank you Ranjith for going great lengths to show the world the struggles we have been facing. You have done something our entire government have been trying to deny. And there is no stronger voice to highlight our plight other than having Superstar to be our "Leader"
Whatever stereotype or accusations that has been thrown at him in the past have been broken in this film. I remember critics telling that he is old and he should doing a role of his age, how can he be fighting huge groups alone, he is so poor when comes to emotional scenes and he should not be romancing actress of younger age. Guess what, he broke that all. 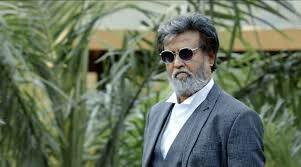 Here you will see an old age Rajini who is aware that he is now old and only has a limited time left. He can't go out there and fight people like he used to and will need people for it. At both young and old Rajini, he never once is shown romancing his heroine. In fact the chemistry between him and Radhika Apte was fantastic. Even the scenes where he talks about her or thinks about her were brilliant. It was another side of Rajini that has been hidden for a very long time. The bond he shares with his gang and his daughter was a treat to watch. On the other hand, Dhanshika played a very bold, brave young gangster girl. Just like how her daddy is. It was hard for me to like her and I guess that is because of her hairstyle lol. 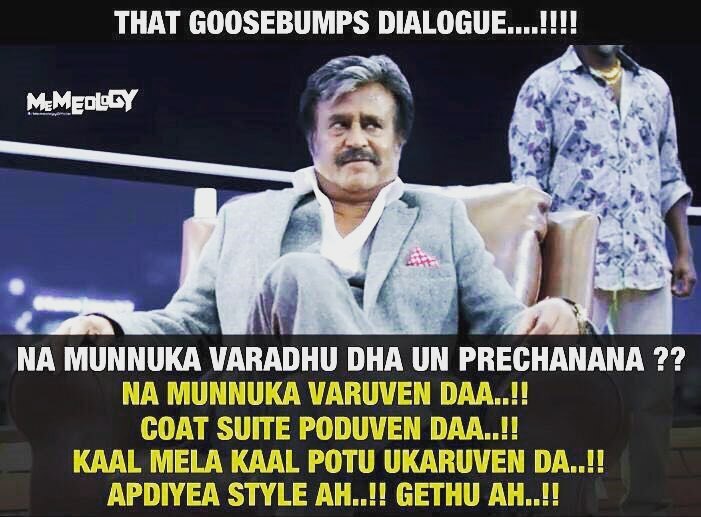 As an actress she was fantastic and the scene showing her closeness and rapport with Kabali was her best performance. I would be honest here, when the songs were first released, the only song I enjoyed was Nerrupa Da and I found the rest as average at best. After hearing a couple of times I started to develop a liking for the songs but I never felt confident how Ranjith would fit the songs into the film. How wrong could I ever been. The particular highlight for me was the "Maya Nadhi" song. The build up to it, the emotions of the cast and the timing was perfect. These things happens only when the director and music director are in sync. Meanwhile the timing of the Nerrepu Da songs was brilliant. It will get your blood pumping with excitement when the songs comes and the whistling BGM with Rajini screen presence was another highlight.